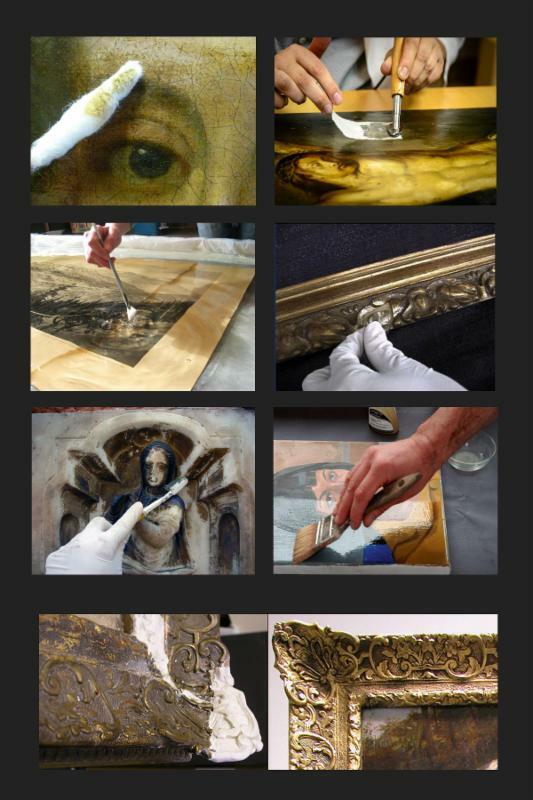 We specialize in art restoration and art conservation services of fine art paintings and works of art on paper to help save and maintain your treasures for future generations. Restoration involves the repair of tears, blisters and flakes of paintings and prints surfaces, the relining of fragile or heavily damage canvas and filling and in painting of damage or missing areas. We can remove those old water stains that so disfigure a work of art. We can remove the acids that cause the unsightly browning of the paper. Stains from grease or water can also be removed.